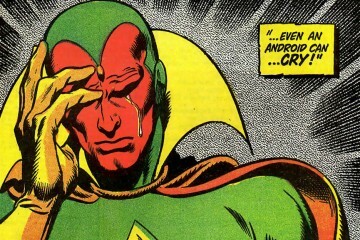 Welcome to a new video series from the folks here at Talking Comics! 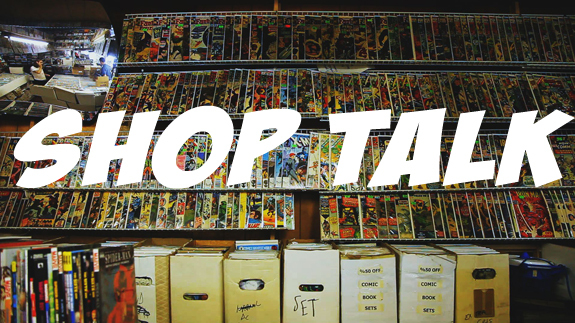 Every week you hear us talk about our local shop Tor Comics, and the great people who run it. Well we’ve decided to give them the spotlight in a feature we are calling Shop Talk. The topics in this new segment will range from reactions to the biggest news of the day, thoughts on books and movies, and even an inside look at the goings on in a comic book shop. We hope you enjoy Shop Talk and please leave your comments below! Darin – No twitter handle….yet! Unrelated question (?) what kind of camera do you shoot with? Canon EOS 5D Mark ii and I’m using a 24-105 Canon L series lense! Loved it. Hope that becomes a regular thing. Also, I loved Man of Steel. Am I getting fat? It’s okay, you can tell me. It comes with age. I get some nice views of my newly developing double-chin every time I read comics and catch my reflection off the iPad. Gonna start calling you Bubba.